Dear Mr Scrum Master, Welcome to the company – Scrum Masters are sh!t and why are you here? 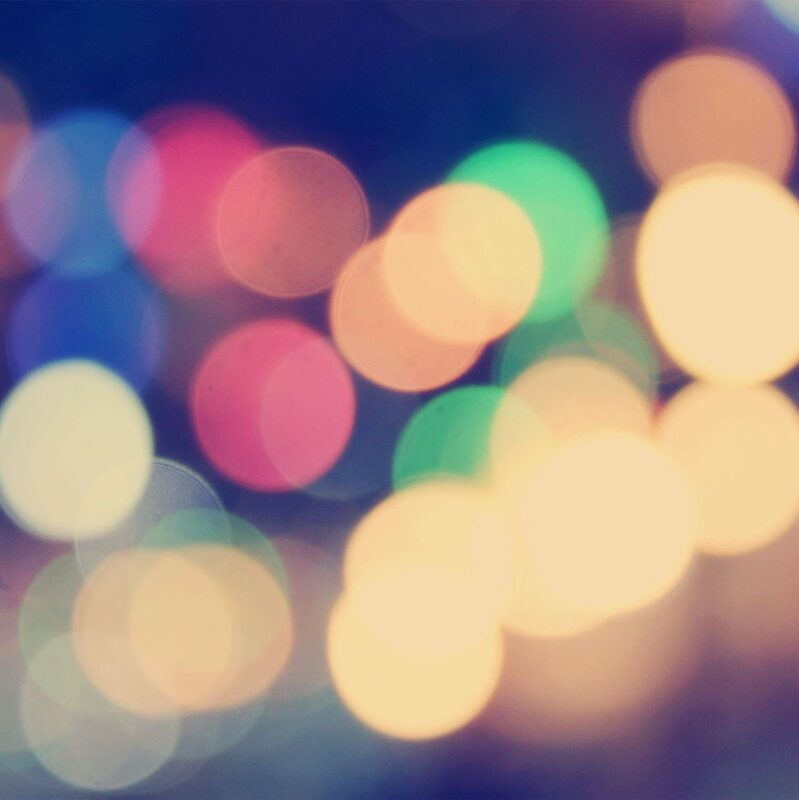 You add nothing to this and….” This was the start of an email I received one week into my new role as a Scrum Master. How do I respond to the points raised, who do they think they are, what has previously happened to them that made the think this way? More importantly – where should I bury the body? I’ll take you through the points they raised and discuss my response to them. Do I win them over with my charm and persuasion, or give up and look for a new role? “From the Trenches“ real life experience of being a Developer, Architect working in Scrum and other teams. The 2-day Professional Scrum Master course covers the principles and (empirical) process theory underpinning the Scrum framework. The course looks at the role of the Scrum Master in the framework. This course is a combination of instruction and team-based exercises, and teaches what is at the heart of the Scrum and Agile movement. PSM is the cutting-edge course for effective Scrum Masters and for anyone coaching a software development team toward increased efficiency and effectiveness. The course includes advanced thinking for servant-leadership and behavioural shifts. Throughout the course, students are challenged to think in terms of the Scrum principles to better understand what to do when returning to the workplace.The PSM course is much more than just a set of slides and an instructor. In this course, students work on real-life cases with other classmates together as a team. This course is made up of discussions and hands-on exercises based upon real-life cases. The Professional Scrum Master course is for anyone involved in software development using the Scrum framework. It is particularly beneficial for those people within an organisation accountable for getting the most out of Scrum, including Scrum Masters, managers, and Scrum Team members. Attendees gain an understanding of complexity in software environments; How empiricism controls risk, and provides predictability in complex environments. The course covers what is agility and what is Scrum’s place within the Agile discussion? Explore the Scrum Framework and how each, Event, Role and Artifact relates to each other. Allowing teams to work in complex, changing and challenging environments. See that each part of Scrum ties back to the principles and theory, while exposing waste. 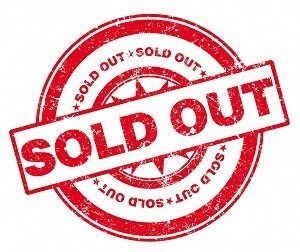 Course attendees will discover the importance of Done and how it affects our ability to deliver new functionality. They will learn how to run a Scrum project and how to plan with Agility. We discover how Scrum Teams are formed and become effective and the productivity and creativity that can be gained through self-organisation. The course looks at the skills and traits of a Scrum Master; the challenges for a Scrum Master in helping teams and the organisation in using Scrum to become Agile. Although there are no prerequisites, reading and reviewing the Scrum Guide would be beneficial for course attendees. 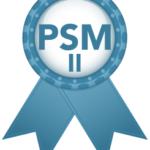 All participants completing the Professional Scrum Master course will receive a password to attempt the PSM I assessment, and are also entitled to a discount on the PSM II assessment. The industry-recognised PSM certifications require a minimum passing score on these rigorous assessments. People who have passed PSM I, achieving certification, demonstrate a fundamental level of Scrum mastery. PSM I certificate holders prove that they understand Scrum as described in the Scrum Guide and the concepts of applying Scrum. PSM I holders have a consistent terminology and approach to Scrum. People who have passed PSM II, achieving certification, demonstrate an advanced level of Scrum mastery. PSM II certificate holders prove that they have an understanding of the underlying principles of Scrum and can effectively apply Scrum in complex, real-world situations. 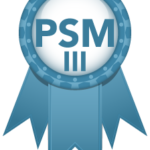 People who have passed PSM III, achieving certification, demonstrate a distinguished level of Scrum mastery. PSM III certificate holders have a deep understanding of the application and practices of Scrum and the Scrum Values in a variety of complex team and organisational situations. 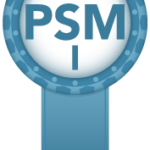 All participants who complete the Professional Scrum Master course receive a key to take the PSM I certification exam. The certification exam is done online ; After the course, all students receive a key to take the exam, which consists of 80 questions and a duration of 60 minutes . The course covers all the necessary material for both certifications. The PSM III exam consists of 30 essay-type questions that assess the experience with Scrum. Steve has over 20 years of IT experience in various roles, ranging from scrum master for various development teams, technical architect on high profile projects to a developer who is just happy to be coding away. 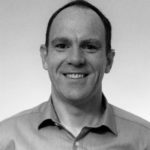 During this time, Steve has worked for sector-leading companies BSkyB, Nestle UK and Procter & Gamble whilst also working for small to medium enterprises to help them to grow their business by supporting their development processes and the teams within. In addition to being a trainer, Steve is a TOGAF certified architect and a former Microsoft Certified Solutions Developer. Steve has worked in various teams (Scrum and none Scrum) so comes packed with real life stories. From Start Ups building the next social media network up to large corporations handling thousands of transactions a second. If you want to learn from someone who has been there and done it, then Steve would be able to share experiences to help you on your way. Whilst working as a consultant scrum master, I received an email that questioned my worth to the organisation and, more worryingly, the value a scrum master brings to the scrum team in that role. How should I respond – be outraged, ignore them or something else? How would you respond? * Why does this person view the scrum master role as not important? * What can I do to change their mind? * Why is it that you can go from one company to another and have different experiences of what a scrum master is responsible for? I’ll look at the different scrum master types I’ve experienced whilst working in different organisations and then compare the scrum master role to the Scrum Guide and what it says the role should do. The session will also cover my personal journey through the process of becoming a professional scrum trainer for scrum.org and how that experience helped me in responding to the email. The Scrum guide describes the responsibilities that a Product Owner has in Scrum, but it doesn’t explain how. What things does a PO need to have in their toolbox in order to keep Stakeholders and the rest of the Scrum Team happy. In the session we’ll explore the things a successful Product Owner must have in order to survive sprint from sprint. How does a Product Owner know if the team they’re in are delivering value. How can a Product Owner be part of a team, but yet have the pressures and accountability for deliver on their shoulders.